What to look for when buying a used Nissan Versa? The Nissan Versa began sales in the United States in 2007. The first generation for US sales included both a sedan and a hatchback powered by a 1.8-liter four-cylinder engine with a four-speed automatic, a continuously variable (automatic, CVT), or a six-speed manual transmission. There were two trim levels, the S and the SL, with options availability depending on trim chosen. The 2009 model year saw the Versa 1.6 added to the line, largely for Canadian sales, with a smaller 1.6-liter four-cylinder engine mated to either a five-speed manual or a four-speed automatic transmission. This model was the most base offering in North America at the time and it cost less than every other new car on the market. The first-generation Versa got a bit of a facelift in 2010. The hatchback was removed from the lineup in 2012 to be replaced by the Nissan Versa Note shortly thereafter. The second-generation Nissan Versa was introduced in 2012 with a completely new design. The 1.6L engine became standard, as did the option for a five-speed manual, four-speed automatic or CVT. Fuel economy improved, as did consumer acceptance of the little car, which soared thanks to low prices and excellent versatility. The second-generation Versa saw a facelift in 2015. The most common complaints for Nissan Versas are with the first-generation, especially in the mid-level mileage of 70,000 to 75,000 odometer miles. Transmission failure is the most common complaint, usually with the CVT and especially in the 2012 and 2014 model years. By comparison, second-generation Versa models are far less likely to have issues or consumer complaints. What is the average price for Used Nissan Versa? How many are for sale and priced below market? What Nissan Versa model year and mileage can you get for your budget? Where does used Nissan Versa rank in comparison to competitor vehicles? What Is The Average Price Of A Used Nissan Versa By Model Year? What Is The Average Price Of Competitor Cars To The Used Nissan Versa? What Is The Average Price Of Used Nissan Versa In The Top 10 Cities? The 2016 Nissan Versa and Versa Note have been best-sellers in the subcompact entry-level market for quite a while. 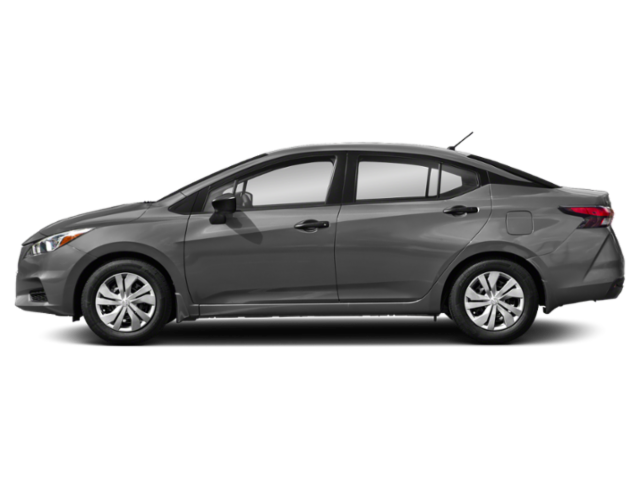 With sales split more or less evenly between the sedan and hatchback models (Sedan and Note respectively), this little car seems to grab a lot of eyes. The Versa isn't known for having an award-winning exterior style or engaging drive quality. It has neither of those. What it does have is a big, roomy interior compared to the competition and a high level of fuel efficiency and A to B functionality. Where others might have pizzazz, the Versa has practicality. In the end, that's winning more buyers than not. The base level Versa is an extremely basic vehicle with little in the way of frills. Yet its beginning suggested retail price is well below most others in the segment. That seems to attract a lot of buyers, but most of them are not buying that base level offer. They instead move up to a mid-level trim where the Versa has less in the way of cost comparative shine. Given the high level of competition in this market, Nissan's plan of offering the lowest base price possible by stripping the car of nearly all non-essentials appears to be paying off. The 2016 Versa sees little change from the 2015 model year, but we do note some highlights such as improved crash test results and realistic EPA estimates for fuel economy.